I'm always on the lookout for quirky-fun-edge jewelry so I'm so happy that I've discovered Erica Weiner Jewelry. I've really fallen for these vintage-inspired necklaces! I love that handcuff necklace, I used to have it but my car was broken into and it was inside my gym bag that was taken. Everything else I was able to replace but I did not know where the necklace was from. I will have to see if I can get it again. These vintage necklaces are really very unique and stylish. Actually I was looking for such cool summer collection for my wardrobe. 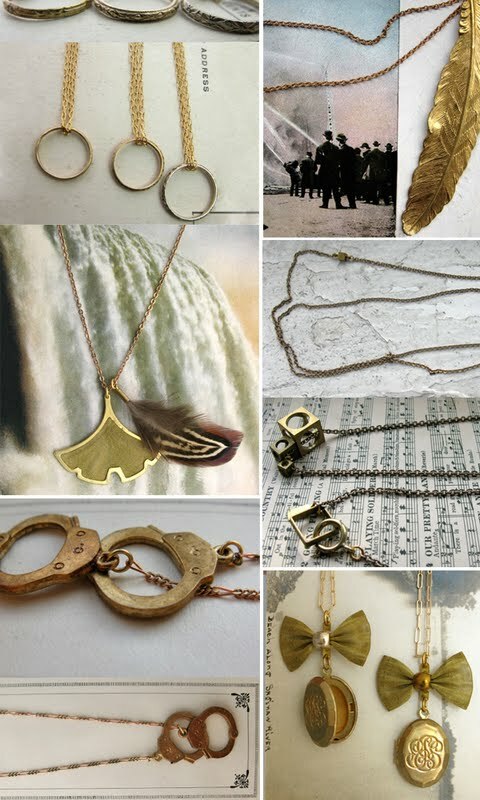 That leaf and bow shaped necklaces are really very stylish and fabulous. I wish i would have the same.